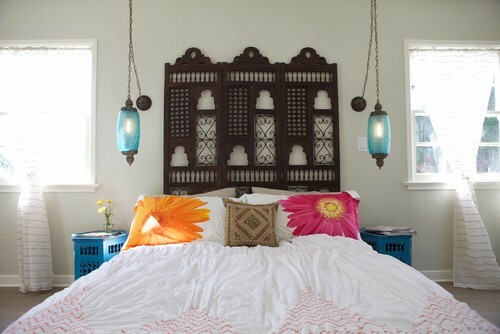 Different ways to use Moroccan lanterns in your home. 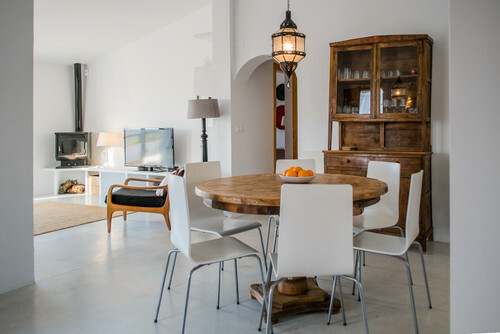 So you love Moroccan lanterns but you have a normal 2.4m high ceiling and think that it's too low for them. Well think again. 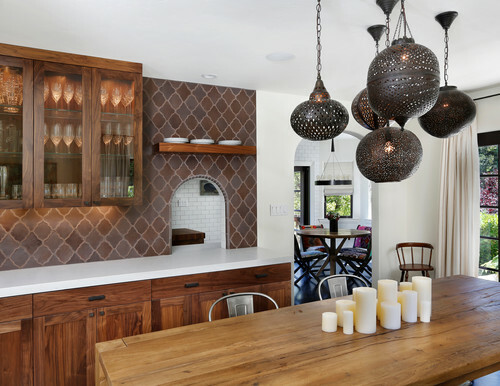 There are loads of different ways you can incorparate decadent lanterns into your home. In the kitchen if you have an island or breakfast bar you can have them hanging low over the bench and you will never get a twack in the head. Same goes when we move into the dining room. 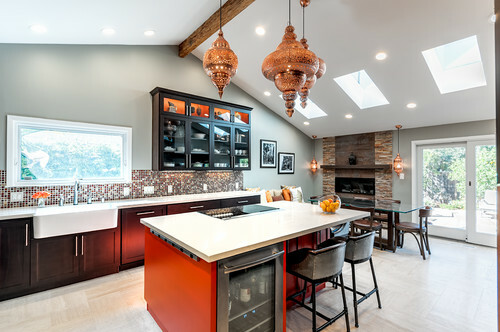 A dining table is the pefect place to have a gorgeous lantern or two hanging over the top of it. You have plenty of options in a living room. How about over the coffee table. It’s the perfect place to drop a light. You can also look at the option of having lights on a stand, floor lanterns, or hanging a light or 2 in the corner of a room which sees no action. 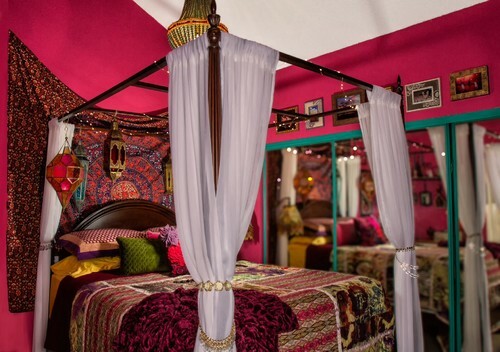 The bedroom is the ultimate location for ambient lanterns. Think romance or just a beautiful peaceful place to relax in before you nod off to sleep. 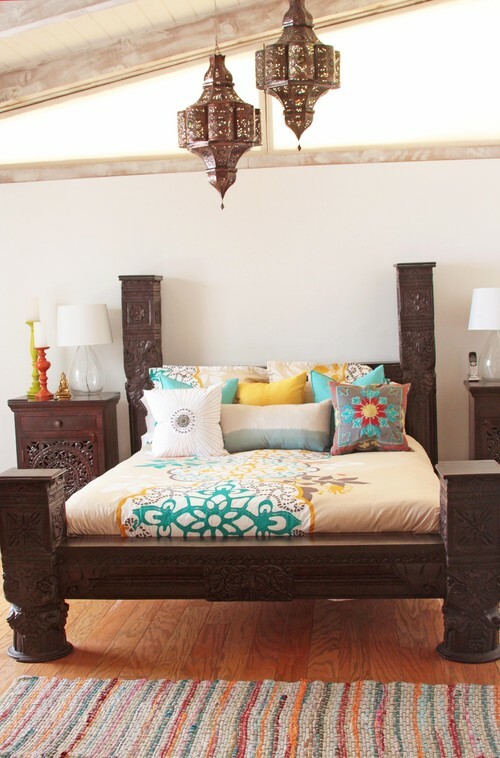 You can’t walk under a bed so that is the obvious place to hang your lovely lantern. 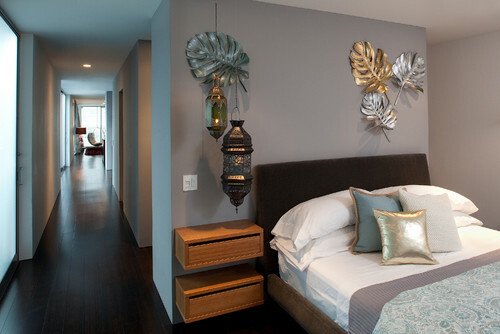 Hang them from either side of the bed as pendant bedside lights. 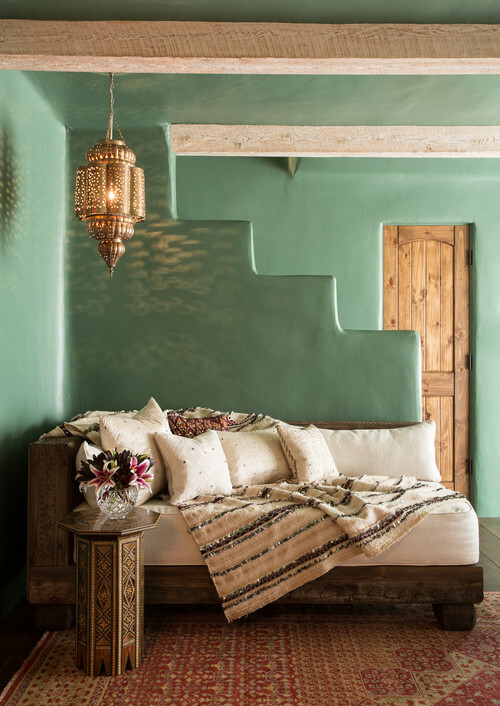 Your other option is to have them hanging from wall brackets or just use an actual Moroccan wall sconce which attaches straight to the wall..
A Moroccan light stand, a window sill, on the hearth of a fire place, sitting on a side table. The other most obvious way, is to purchase a smaller lantern which you can hang where ever you like and still has enough clearance not to smack your head on!! I have put a bunch of images together to can get the general gist of what I'm on about. 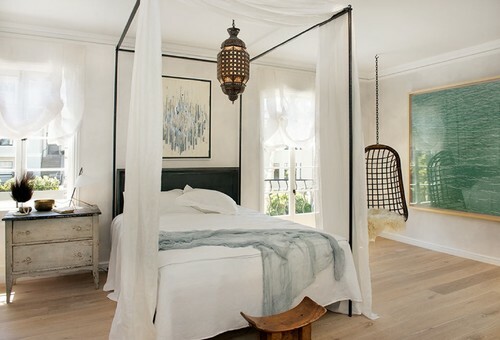 What other creative ways can you think of to get a gorgeous lantern into a room? Lanterns over a dining table. Pectect place! 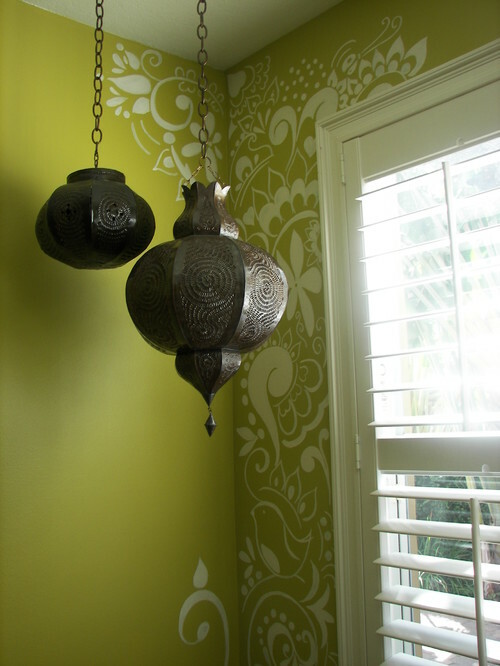 Follow Exotic Imports's board Different ways to use Moroccan lanterns on Pinterest. Have FUN with interior design! !